Coaching is now considered to be an essential tool for anyone who manages the work of others. It is important to receive the right training and development as coaching is a skill which needs to be used carefully and sensitively. Coaching works because we let the client own the solution, create the goals and celebrate the action. Our role is to provide a variety of attitudes, models, techniques and resources to enable our clients to identify and implement their own solution. This invariably leads to long term success. Coaching is seen by some people as the ‘latest thing’ in training and development when in fact effective managers and colleagues have always coached people around them. Why is coaching popular now then? With the pressure on everyone in organisations today it is more common to find managers having to manage upwards and having little time to support the people in their teams. A professional coach can therefore play a key role in the development of that team, bridging the gap between expectation and performance in exactly the same way that the coach of a sports team does. By working with a coach, you are accessing a specific and powerful skill set that you can use to make changes and develop yourself in the way you want to. In a safe non-judgemental environment, supported and encouraged by your coach, all the negative doubts are replaced with the positive self-confidence to challenge and break through the barriers that separate you from your ambitions and goals. Whether you’re an individual or a c ompany, we can surprise you with the results you’re able to achieve, easily and quickly. Coaching works because it is personal, often intensive and builds upon and refines an individual’s existing skills and talents. Ultimately, the only way to really know what a difference it will make for you is to get in touch and find out for yourself. You don’t necessarily have to be in the same geographic location. Coaching is successfully achieved by phone and the Internet. Are you an executive or business leader? This can be a solitary place sometimes. 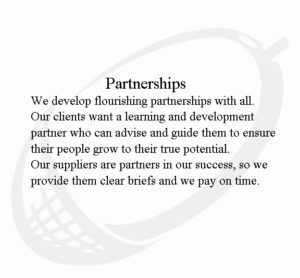 You need someone who has been there and experienced what you are going through to help you form plans and strategies, who can then work with you and give you practical guidance to help put those plans into action. Are you frustrated because for some reason you are not achieving your true potential? This is ideal for people who feel there is a gap between their performance and their skills and need support to help them to identify what to do. Would you like to move forward in your career? Perhaps you need help with putting together a CV or resume, guidance on where to look for a job, or advice about how to develop good interview techniques and boost your confidence. Or maybe you are confused about the next step in your career direction, and want support from someone who can help you to identify opportunities and next steps. Would you like to enhance your work performance and career opportunities, or simply achieve more in your life? Do you feel your motivation and self confidence need a boost? Are you unsure how to develop and utilise your skills, need help to solve a financial problem, lose weight, resolve a problematic personal or work relationship, or achieve better work/life balance? 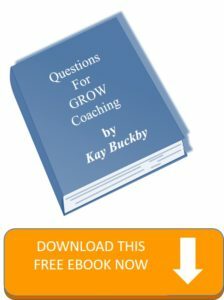 If the answer to any of these questions is yes, you are probably one of the many people who need some help in maximising their potential and would benefit from coaching. In whatever sphere, the coach will bring commitment, professionalism, skills and knowledge, complete confidentiality, and a great belief in your latent talent. In return the coach asks you to contribute commitment and honesty about yourself and the things you want and a willingness to rigorously challenge yourself in order to get what you want from life. Is your business lacking in strategic aims and goals? Do you find yourself working too many hours? Is your business less effective when you are not there? Business coaching works as strategies, goals and values are clarified and a working plan is designed, implemented and evaluated to move the business owner away from the operations of the business and into the strategic role of owner/Director. One happy client described it as “getting their life back”. The Certificate in Coaching is the full qualification for people who need to coach as part of their job.